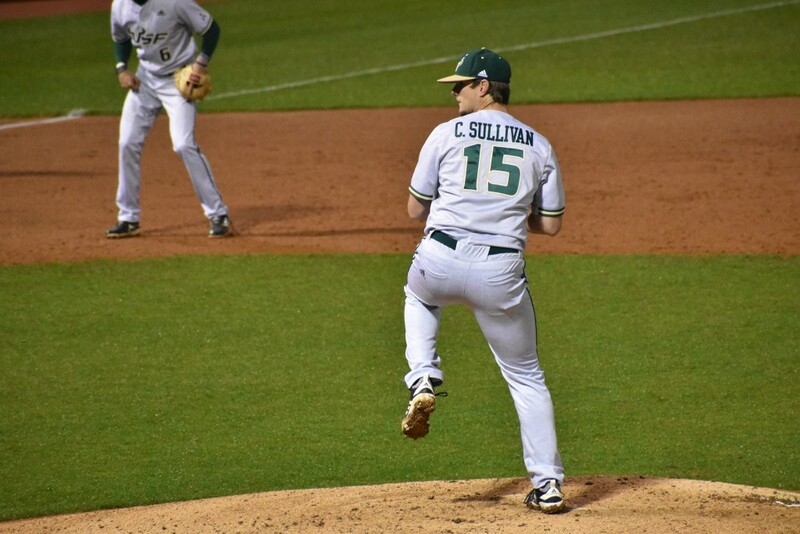 Collin Sullivan led the way as USF knocked off Cincinnati 4-2 in the Bulls’ AAC opener Friday night at the USF Baseball Stadium. Cincinnati’s AJ Bumpass hit a solo homer in the top of the second, which was the only run Sullivan allowed. Not only was pitching a key factor in win, but USF’s offense contributed as well. Kyle Phillips steered the Bulls toward victory when he drove in Chris Chatfield in the bottom of the fifth, tying the game 1-1. With the bases loaded, Cincinnati pitcher AJ Kullman hit Joe Genord in the bottom of the fifth, driving Garrett Zech in, giving the Bulls a one-run lead. Jordan Santos drove in Chatfield with a bases-loaded walk in the bottom of the sixth, bringing the score to 3-1 with what would be the game winning run. The Bulls added one more in the seventh inning, padding things for Nelson Alvarez to earn his fourth save of the season. 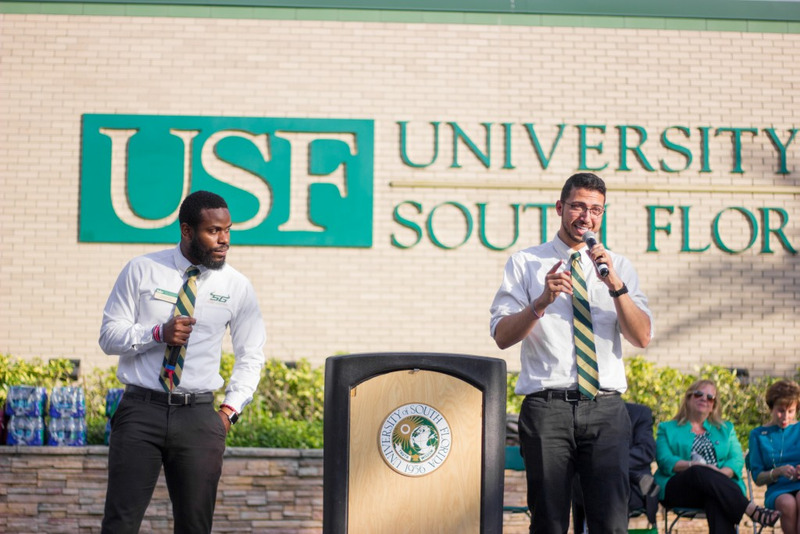 While USF pulled ahead in its conference opener, the Bulls still have the rest of the season to compete against other skilled teams and test their talent. “We got win No. 1. The conference is what matters — it’s a really good league. Every week is going to be a battle,” Mohl said. As conference play began, Mohl wanted more consistency from his club. Though only one win, it’s a good start. The Bulls continue the series against Cincinnati on Saturday at 6:30 p.m. at the USF Baseball Stadium.